This is the second of a two-part post addressing strategies for implementing the Shared Foundation of Collaborate through four different connections. Part 1, posted on April 24, looked at strategies for making connections with Learners and Educators. Part 2, below, includes strategies for implementing the Collaborate Shared Foundation in our Communities and through Global connections. As a school librarian, I always had a hard time building in the time to plan events for families and other community partnerships. When I did, it was an investment with amazing long-term payoffs. It’s often at the bottom of a long “to-do” list. I know that building and maintaining community relationships can be a revolving door of creativity that always, always comes back to strengthen our relationship with our learners. I’m always excited when I hear school librarians talk about their most recent endeavor to bring their community closer to their school library–it takes focused, mission-driven attention to transform ideas into plans. For starters, check out the recently released (amazing!) AASL Public Library and School Library Collaboration Toolkit. 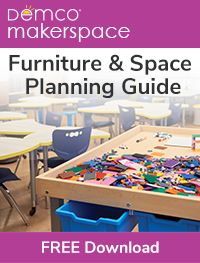 Read about bringing STEM projects or makerspaces into your partnership with your public library; or the assignment alert program where all professionals can support current assignments. Or BLAST (Bringing Libraries and Schools Together) in Carroll County. This publication is a wealth of ideas–each could be implemented at basic, entry levels or at more complex levels if you have already started on this path. Consider it as a fantastic way to pursue your collaborative journey! Another avenue for making community connections through the Shared Foundations is using the infographics. In reviewing the infographics, notice that each Shared Foundation has a “Starts With” word at the center of the image. The “Starts With” Collaborate infographic word is “Community.” Obviously, collaboration doesn’t happen in a vacuum. Consider sharing the “Starts With” word and, then, the “Think, Create, Share, and Grow” elements of the Collaborate infographic with administrators, other educators, parents, and student learners in your community. Include your instructional and programmatic offerings in the conversation through the lens of the school library being TWO spaces: a physical, community space and a library without walls that includes your school and community programming as well as your digital resources. Share it far and wide! Encourage conversation, suggestions, communication. Those who consider collaboration a priority will value your support of their work; those who are not yet immersed in collaborative experiences will be inspired by it–and by your best practices. 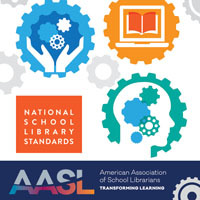 In the AASL Standards Framework for School Librarians from the National School Library Standards, we are charged with considering ways to connect to the school community. I’m also inspired to consider community connections in reviewing the School Library Alignments for Collaborate. Each Alignment has poignant significance. In the Think Domain of the Collaborate Shared Foundation, “Partnering with other educators to scaffold learning and organize learner groups to broaden and deepen understanding” is especially meaningful in my work as a school librarian. Partnerships afford the opportunity to be elevated by and to elevate other’s work. The ripple effect of these partnerships can lead to changes throughout the entire school learning community. In the Share Domain, this alignment deeply resonates with work I find most meaningful: “Facilitating diverse social and intellectual learner network and designing and leading professional-development opportunities that reinforce the impact of the school library’s resources, services, and programming…” I found that sharing one resource and highlighting one service at each faculty meeting was a small change that made a big difference over the long haul. There are so many other deeply meaningful alignments! Please check out page 85 of your book to see other Collaborate Alignments in the School Library Framework. It’s not Mr. Rogers’s neighborhood anymore! Or, is it? Intrinsic to our work as school librarians is the skill of connecting learners to the world outside of the classroom. Our deep understanding of resources, our instructional practice of sharing curation skills, and our inquiry practices through which learners discover issues and create solutions are cornerstones of our work. These are critical portals through which global connections are fostered. We bring so much to the “Global Connections” table! Navigating global connections in brick and mortar classrooms has the potential for life-changing insights–it is also a process with risks and hurdles. In considering virtual connections with global partners, Jennifer Klein offers valuable suggestions in Building Partnerships Outside the Classroom That Work. I especially appreciate her laser focus on bias. She provides valuable examples of our unconscious predisposition for exacerbating injustice and stereotypes. When we are focused on differences in other cultures, instead of the communication needed to problem-solve, we run the risk of perpetuating injustice and stereotypes. 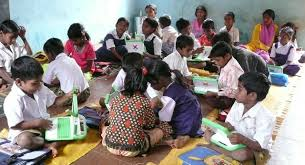 “Global education isn’t about saving or even helping others so much as collaborating toward a better world for everyone.” Collaborative efforts are the foundation of this meaningful work! Let’s talk about the intersection of Inquiry and Collaboration. 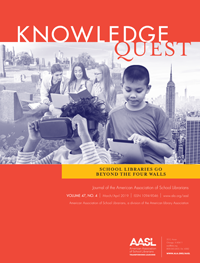 When Inquiry is the heart of an educator-school librarian collaborative effort, learners are afforded multiple opportunities to think critically about global connections in a variety of ways. Prompting learners to first wonder about the United Nations Global Goals, while they examine a variety of relevant resources, is a catalyst for engagement. Ask learners how they might design a service project or discuss how they might take action on an issue. We often use “global” to mean distant, but an issue that is meaningful to a learner might be one that surfaces in a classroom, school, or neighboring community. The “glocal” education movement asks us to consider important global questions on a local level: “Could your students learn as much about collaborating to end poverty by partnering with a food bank in your own city?” Phase one, or the first project, is consideration of how your learners might organize it. I’ve described this a bit further in the Discussion Forum, Lessons Plan Examples Section. Whether focusing on global or glo-cal issues, the contributions that school librarians are positioned to make related to your learners’ inquiry, curation, and exploration experiences will elevate the work and the futures for all. I’d like to circle back to Jeanie Phillips’ recent KQ blog post, Making it Real. To maximize your learner, educator, community, and global collaboration skills, consider furthering your understanding of authentic experiences. Through this learning, we have the ideal platform to talk with other educators who are searching to elevate their work and to provide learners with experiences that are relevant to their lives and have an impact on hot buttons within their communities. Use #Collaborate and #AASLStandards when you share on Twitter. Put your best work, your learning, or your new ideas in the AASL Standards Discussion Forums board on Lesson Plan Examples. Discuss your considerations about Collaborate with a colleague. Provide information in team meetings about the ways you encourage learners to collaborate in the school library. Offer a session on Collaborate at an upcoming district or state conference. You don’t need to share perfection. Just think about how to start the conversation! Enlist other’s ideas. Lastly, as I take another look at the Shared Foundation of Collaborate in the AASL Standards Framework for Learners, I’m asking myself, where is my strength? Where am I going to transform learning into a defining moment? How might I share my work in the Collaborate Shared Foundation? I hope you are asking questions of your own! *The Adaptive Mapping structure is included in the Discussion Forum, Lesson Example section.